As I mentioned yesterday, it's Dare to Get Dirty week over at Splitcoaststampers. If you're a Fan Club Member this is your chance to play along with design team members (aka Dirty Girls, which I am honored to say I am an alumni of! ), past and present, in a ton of fun challenges! If you're not a Fan Club Member, this is the perfect time to become one -- you can get all the info here. We'd love to have you play with us this week! 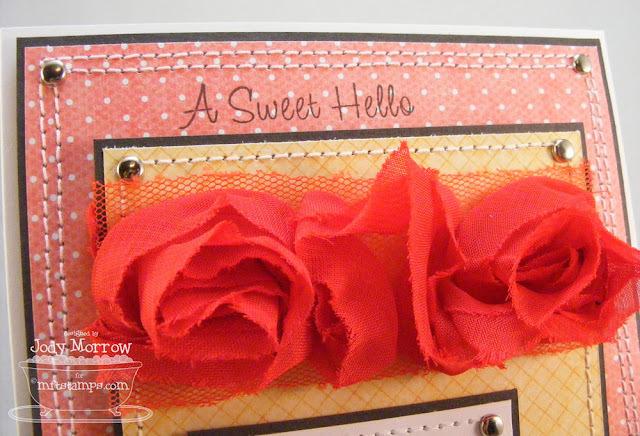 Today, my friend and fellow Dirty Dozen alumni, Susan Roberts (aka Rainy), is hosting a sketch challenge and I helped out by making a card using her sketch. 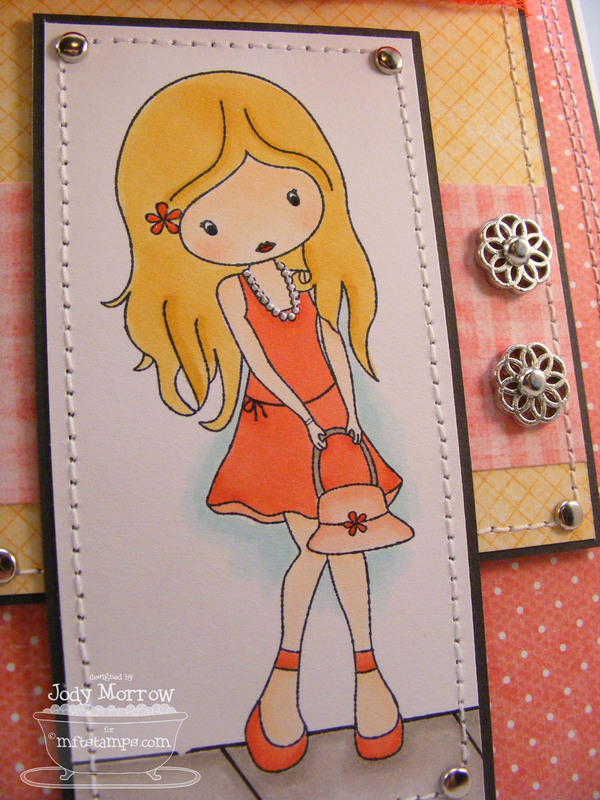 You can see a couple more cards using the sketch on Denise's blog, and of course on Susan's blog. If you'd like to play along, you can get all the details right HERE in the forum. I made a double-stitched border around the back panel and added some Webster's Pages trim. I added Liquid Pearls to her necklace to jazz it up. I added Sakura Clear Glaze pen to her lips, eyes, and the flower in her hair. There is Copic Spica glitter pen on her belt. Shut the front door!!! This is darling GF (don't tell anyone, I am blogging at work)! So cute, Jody! Love how you drew in a sidewalk too! What a sweet card, I love the way you've made the sidewalk!